But steel bar suppliers will not understand this notation, they measure the steel bars in weight. So we have to order them in kg or quintal or ton. 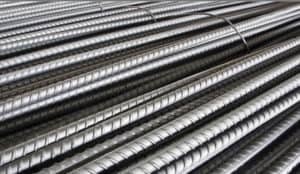 In this article, we will discuss how to calculate unit weight of steel bars of different diameter. W = Weight of steel bars. D = Diameter of steel bars in mm. Example 1: Calculate the weight of 60 meters long 12 mm ø bar. Here, D = 12 mm. Weight of 60 m 12mm ø bar is 53 kg. Let’s look for another example. Example 2: Calculate the weight of 100 m 16 mm ø bar. Here, D = 16 mm. W = 16² x 100/162 = 158 kg. If we put 1 meter length for each diameter of steel bar in the formula then we will get the unit weight. If we multiply the length of bars with this unit weight we will get the total weight of steel bars. 1000 x 2.469 = 2469 kg. Using the same method we can calculate the unit weight of different steel bars. Where D = Diameter of bars in mm. L = Length of bars in foot. Also Read – How To Calculate Cement, Sand Aggregates For Concrete. how do you obtain the formula? This is very helpful for those in management position who are oblige to perform quantification in terms of construction schedule planning. I want and kindly request full time subscription in your daily newsletter. Thanks for informing about the mistake. We have updated it as well. Thank you very much for putting us through. But we will like the pdf copy.